The Government is being warned of the need to take action to mitigate the tax impact of WLTP for fleets to ensure that it doesn’t jeopardise its own plans to drive air quality. 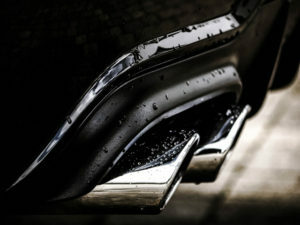 With only 10 days left until the Treasury’s review into whether revisions to Company Car Tax and Vehicle Excise Duty are required as a result of the shift to WLTP closes, concerns are beginning to mount that the Government may take little or no action at all to remedy the effects of the higher CO2 figures from the new WLTP testing cycle, which will be used to work out CCT and VED from April 2020. Initial evidence provided by manufacturers suggests that more than 50% of cars will see an increase from NEDC to WLTP of between 10% and 20%, bringing major cost increases for drivers through BiK and for fleets through VED and National Insurance contributions (NICs). Current uncertainty of the cost to fleets/drivers from the WLTP increases is being exacerbated by a lack of information for BIK rates after 2021; both are said to have been leading fleets to hold onto vehicles for longer due to lack of clarity on how new cars will be taxed in the future, or actually pushing drivers to opt out and take cash allowances, potentially for much higher emitting vehicles. As such, a growing number of fleet experts, from car data firms to trade bodies and leasing firms, are urging the Government to ‘do the right thing’. This includes the BVRLA, which is urging for fleet stakeholder input with its call upon the Government to take action on WLTP; it’s asking the Treasury to adjust future VED and company car tax bands for 2020 and beyond to account for the increase in WLTP-based CO₂ figures while also providing a legacy CCT table for pre-April 2020 vehicles, freezing the rates at 2018/19 level. Rupert Pontin, director of valuations at car valuations specialist Cazana, also said the Government needs to start taking action on WLTP. He said: “The industry is already feeling the impact of the indecision with a number of potential buyers, whether they be individuals or fleet managers, deferring decision until the position is made clear by the government. Some people are opting out of company car ownership and looking towards the used market. This is not an ideal situation and could raise Health and Safety and insurance complications for staff using their own older cars for business purposes. Andrew Mee, senior forecasting editor at cap hpi, agrees that a bad decision or lack of action on BiK “will almost certainly continue or accelerate existing trends among company car user choosers”. He continued: “It is clear more drivers are taking the cash option to avoid the additional cost or ongoing uncertainty of BiK changes and using personal PCH and PCP, which is leading to a decline in traditional models of B2B fleet contract hire and funding. The current situation is supporting the selection of BiK efficient models, for example, PHEVs, even if they are not suited to the driver’s usage. His views are backed up by Sarah Gray, fleet consultant at ALD, who warned of the risk of employees re-evaluating whether they still want a company car – and the impacts on emissions as a result, as shown by the firm’s research. ALD Automotive’s own analysis has found that vehicles registered as company cars within the ALD corporate business have on average 16g/km lower CO2 than private individuals who are not in a company car scheme. Gray commented: “If employees have the choice of a cash allowance, they may start to look at the type of cars they can afford using that cash, or they may consider buying an older car that emits more CO2 than the company car they are entitled to. This unintended consequence could easily backfire against the Government’s own clean air strategy.